Move Right into this Detached 3 Bedroom- 3 Bathroom- 2 Car Attached Garage Home. Take time to relax in Owner's Whirlpool tub or by the Fireplace in 2 Story Living Room or outside private yard Deck or Patio or maybe lower level Wet Bar as the Association maintains yard/snow care outside the fence. Upstairs 4th Bdrm could be in loft area if needed. 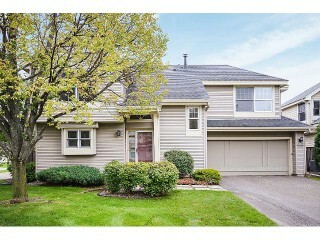 Enjoy Amenities recently such as: Stainless Steel Appliances, Kitchen Countertop, Paint, Carpet. #284 Wayzata school district and easy commute.